"It is clear that the hiring of Zidane makes me very happy," Casillas said, speaking at a 'LaLiga Icons' event. 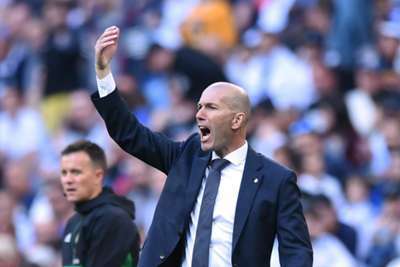 "But also the hiring of Zidane, and before that Solari, means that things have not gone well before. "Of course when Zidane comes it is a reason for joy for all the fans of Madrid for all that has been achieved in recent years, but also it is because something has not gone well." The 37-year-old's contract at Porto is set to expire at the end of the season, and though Casillas revelead that discussions have been held over extending his deal, he is open to playing in LaLiga once again, despite acknowledging that it is unlikely. "I've been lucky enough to compete in LaLiga," Casillas said. "Unfortunately I cannot be there now. It is a bit of everything, what has happened with the national team, what I did at Madrid, it's going to be very difficult to repeat those successes. "The stage at Madrid is past, but I would love to return to LaLiga."